At every point in every human beings life, they wonder about their future, what they have achieved, what remains yet to be accomplished and by what means they can reach their career’s goals. Every individual is responsible and accountable for their own success and failures. One has to deliberate one’s qualities, flaws, capabilities and invest essential traits in an appropriate career. Competitive skills and hard work helps one to have flourishing livelihood. Career management involves techniques to align your aims in a perfect direction. Having enough social networking, systematic qualities, doing right thing at a right time, earning a position which involves having a say in every decision made, having strong influence on others and proper self introspection. Eventually it is realized that nothing can flow in a simple manner without one’s intervention and inspection, one has to invest a gem of a time in managing goals. Dedication and determination is the key, identifying and picking the right task that leads one to their aim will keep the enthusiasm on. Every effort and resource will be utilized so we should be careful before investing any of these. Considering career a venture, close speculation is required, what the consequences will be, good or bad, success or failure should be judged, keeping in mind the ultimate. Keep a track on what outcomes are needed, and thus what improvements will you need. We should identify qualities with the help of introspection and recognize weaknesses. The need is to invest in the strengths and zest to improvise at all levels, so that weaknesses do not prove to be obstacles in one’s life. Know yourself and your career very well, and be aware and acknowledge all new information you receive. Make sure we adjust with situations at the same time be controlling over future situations. Never believe in assumptions or get involved in the practice of it, only enhance on the abilities on understanding how things work and success unveils. Always invest time in learning something and do not push it for later. Time invested in learning never goes wasted. Manage career by learning the attributes of the career and what is required to achieve the same. Knowing how things work and acquiring intelligence in the same, even if you know something do not apply it to every work start learning from scratch. Never pretend you know enough about your career, know the industry you work for and what goals it expects to reach and try hard in learning how you can be an active contributor in it. Find an apt relationship where one can help another in identifying ones flaws and qualities, help in networking them respectively. Find the right circle of influence for yourself, one that can guide you accurately with their knowledge of experience in the industry which involves your career goals. Make sure the social networking helps one develop professionally, keep such relationships active and devote enough time and attention in such practices. Right people and right guidance will be helpful for influencing oneself. Always respect and value such relationships it will help in understanding how these people manage their career. Stay focused on the goals. Sometimes managing career can prove tedious and most of the people then lose interest from managing and get caught up in the menial work. Most of the people find it difficult to analyze what more do they need to reach their career’s goal and give up and take work as a routine forgetting about the final result. Make career management a habit by regular practice and increase commitments to career planning by investing on competitive skills. Have a perspective that holds accountable all the moves one makes so that it becomes a responsibility in today’s competitive world to stay focused on the results and achieve ultimate goals. One should advance one’s skills in hard working. It does not mean spending round the clock time in work but balancing workload with the help of stable techniques. 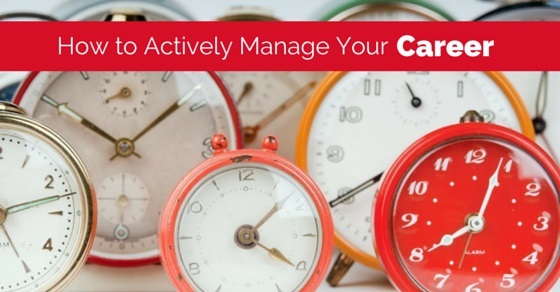 Completing work before deadline can be very difficult keeping on mind how much the task at hand is crucial in meeting ones goals, but managing time when task was been handed can be of assistance. Managing work, time and capability is the key to victory. Take good care of health always; it will be the only thing that would help in keep going. Losing sleep and working may result in an average work, but working when someone is in full senses and putting hundred percent of the abilities will get one a fruitful product for a satisfying career. Clear goals should be analyzed by one and communicated to all the members involved in the industry. What one aims to achieve and what the industry wants should match, thus a clear knowledge of each others goals is to be understand. One should be well aware of the goals to be achieved and thus strive accordingly. Setting of more goals step by step on achievement of each goal is the basis of career. The target to be met should go higher and higher to reach distinctive level in ones career. Always be open to criticisms. It may prove to be difficult to listen to honest feedback but making notes to such criticisms and accordingly adjusting future actions may elevate ones career. This will consequently bring to notice drawbacks and appropriate moves. Learn to bring positive attitudes towards such criticisms. Do not ignore or pretend being good in a task when criticized badly. Even make sure the criticisms made are reasonable. Keep a record of each achievement, account it to yearly basis. Digits, graphs, charts and results per year should be evaluated. Explore each of the achievements and consider it to be examples for potential work. Track accomplishments of the competitors. It can be significant or influential perhaps something to learn from or a loss to be cautious about. Document the work that has brought the industry success. Store it in a special folder or computer or the cloud. It is something that you have contributed in and which has contributed for the success. It will be influential to others. It will create a profile that reflects a successful career. When it comes to socializing, it is necessary for anyone to influence as well as connect with others in a particular industry. Have a strong opinion based on reasons and have a distinct viewpoint. Respect and acknowledge others comments through blogs or publications and make sure to be having an equal say in such conversations. Become someone who is a valuable resource to the industry thus making your suggestions and opinions worthy of awe. Make insightful comments that would relate to others in the industry. When a work is distributed and if it aids to reach your goals, accept right away, letting the higher authorities know what kind of work you are into and what defines your goals. It shows that you are up for complex skills training for advanced experience. The segments of work which can be handled well should be taken and pursued. Challenges and positive outcomes have proved to motivate people. Other thing that motivates one is the benefit one receives from the hard work. For example, intrinsic motivators are high risk work, challenging tasks, etc. and extrinsic motivators are the salary, incentives, holidays, better compensations etc. These are the basic motivators that should be identified and seek out more of such to always be devoted to the career goals. The impediments and complications one face will be easy to eradicate if the motivational factors are strong. Be someone that helps the industry to foresee its potential future. Look at overall scenario of the marketplace that one works in and understanding what affects the industry. Take active participation where opportunities for success are being generated. Bring the industry across works that assures potential success in the market, which requires the utilization of innovative techniques, new technologies, better expertise and potential tools. Manage such works by prioritizing these and having an active contribution. Never bound one with limitations. Overcome the limitations by accepting them, understanding what lies ahead and practicing it for reaching new heights. Abilities may limit but one’s intelligence has no boundaries, keep educating in the field and learn to enhance capability. Transcend to attain few goals; it will always be a valuable investment of skills. The criteria of each work may differ but keeping in mind that it should get one across the limitations, it will become a motivational factor. Choosing the right work, completing it with enough abilities and challenges is not enough to create visibility for your career. Promotional work which will bring one to everyone’s notice should be the work to get involved with. Being handed and asking for high risk works perhaps shows courage and confidence and defines what one expects out of the work and the goals but it will be of no use if the work goes unsuccessful. Dissatisfaction will mount amongst the seniors and it will be very difficult to get such a chance again. Thus when the chance is handed over, the goal must be to get enough visibility for which the success of the work is very essential. The principle rule to consider in career is not a single event, it is a lifelong strategy. Maintaining it with few adjustments is favorable rather shutting off the process all together when it is realized that certain level of goals have been achieved. Life and career go hand in hand thus as the achievements pass, one is released to another set of opportunities to take the goals of career even higher. Passionate and eager like a kid; one must always be keen towards possibilities of ultimate triumph. Lead the career and take ownership of it by maintaining these ways. Do not change paths frequently or do not give the reigns over to the monotonous works, spend time with other people and find new ways to meet with the goals. Maintain the work track, update your profile or resume so that you realize where you stand and the only options in hand has to be either maintaining or going further limits. Updating your resume will show what has been attained in comparison to upcoming technologies and growing knowledge in a sector. It will define new accomplishments to be accessed and get hold of. The key to having psychological balance is to maintain a clear line of balance between work and personal life. Revitalize for work through giving attention to personal life. Enrich your senses by communicating and asking for suggestions and ideas. Understand the expectations and modify your tasks accordingly. Engaging in such balancing techniques other than considering only career or shifting the lens from career to family broadens the perspectives and shapes thinking process, it will lead to the growth of professional life giving new ideals. Investing in the management process will make the career more effective and bring personal enrichment; this helps in making one a good person from within and outside. Practice of active management of career, not only is an improvement of an event but the time one spends on earth. To be admired and honored one must invest in efficient management techniques and never consider it a waste, what one has accomplished in a lifetime remains influential at all times. Career makes life worthwhile.